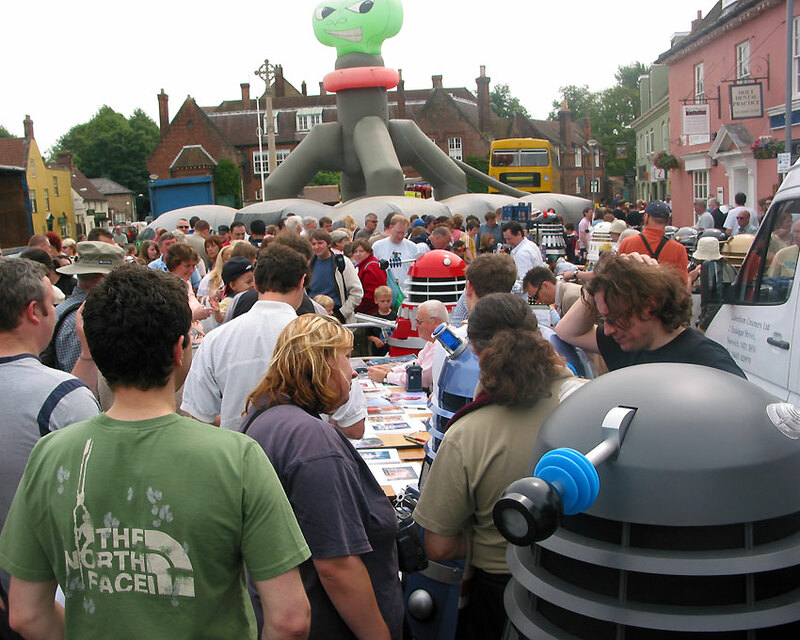 This was the very first attempt at setting a Guinness world record for the largest number of Daleks gathered in one place. 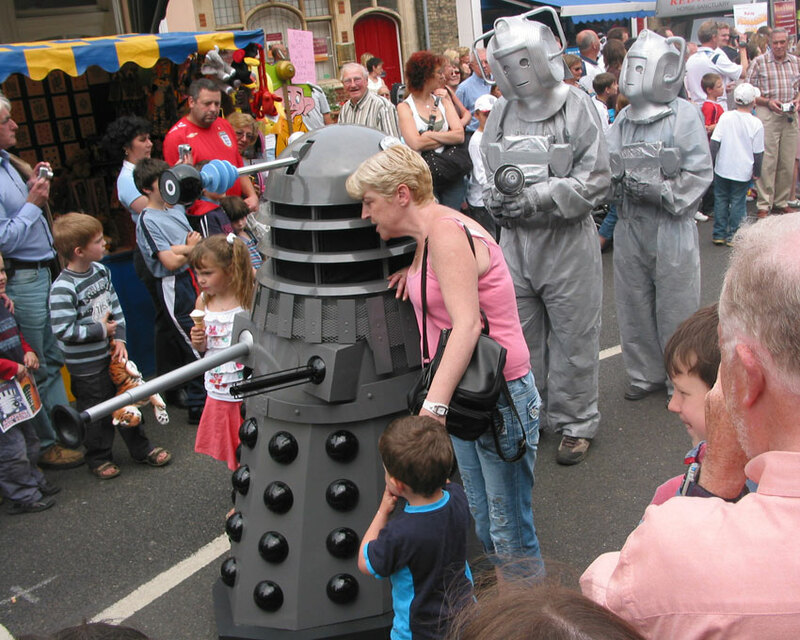 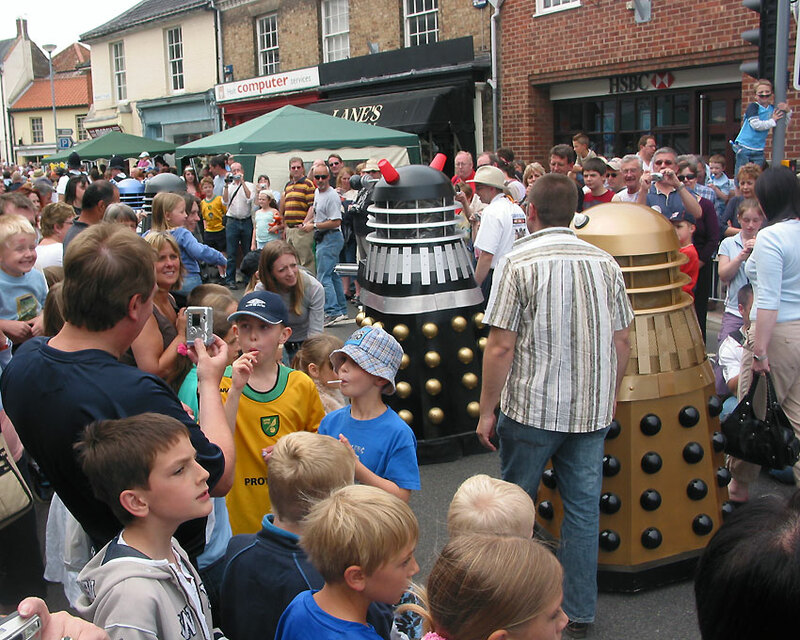 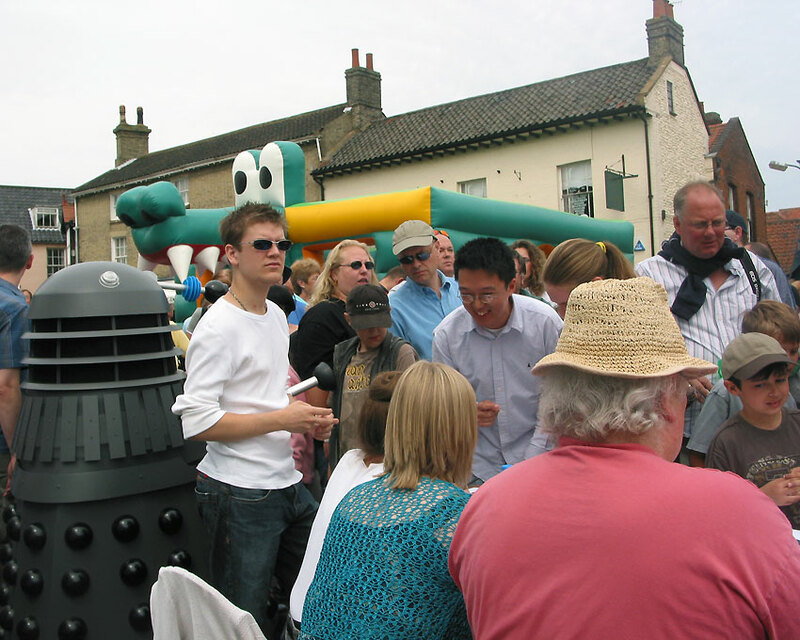 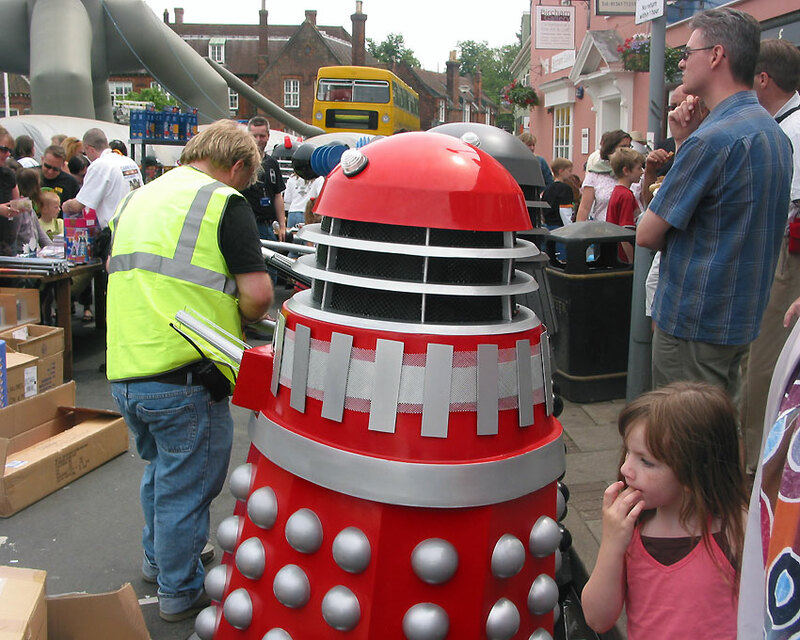 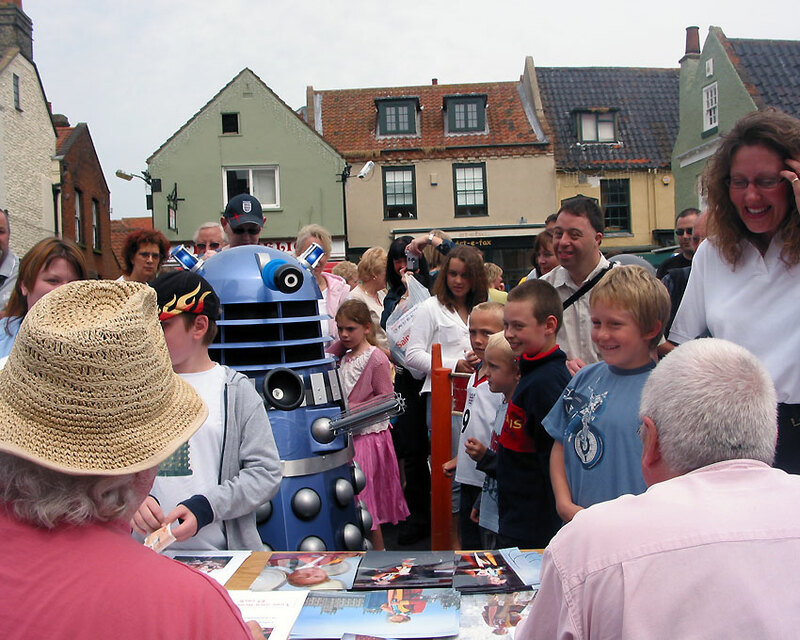 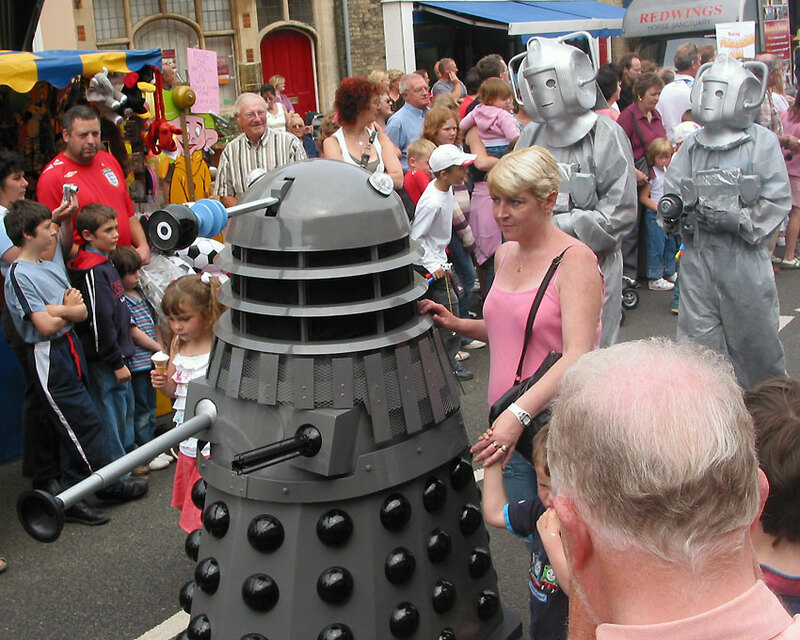 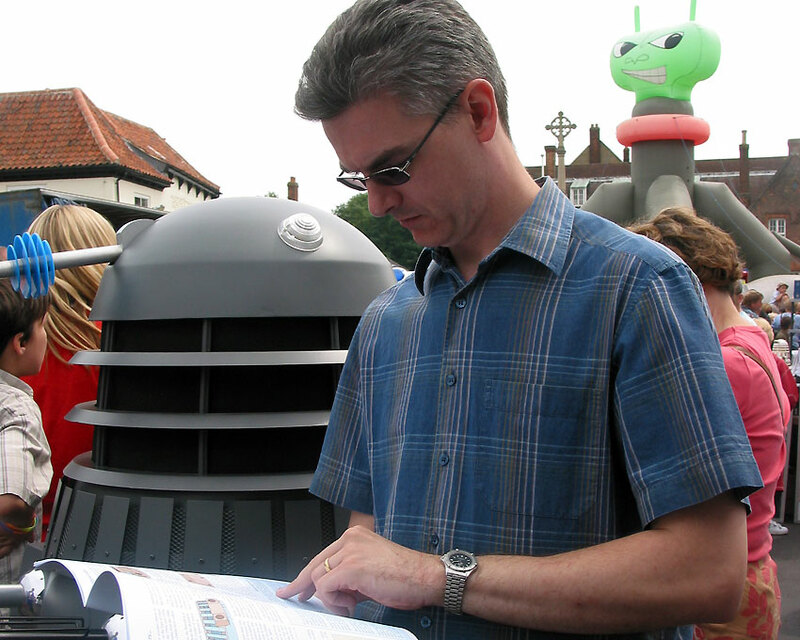 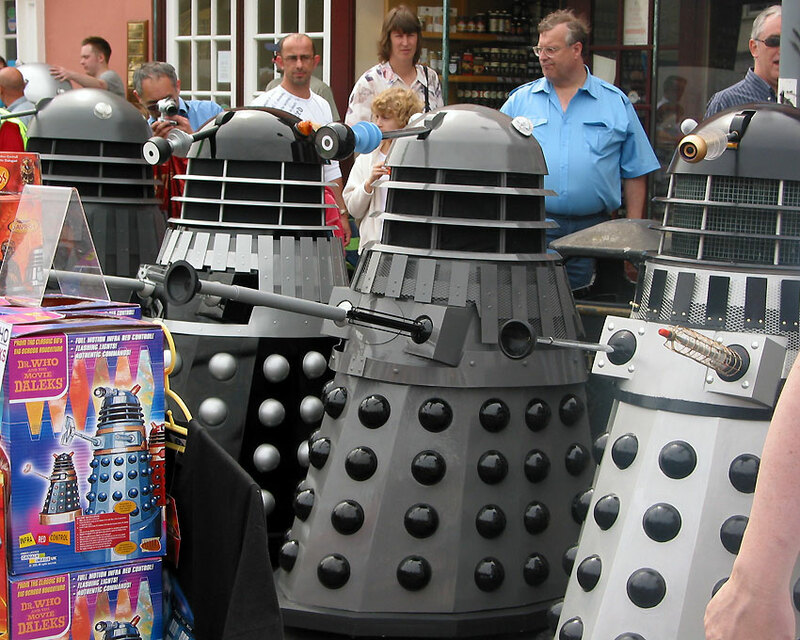 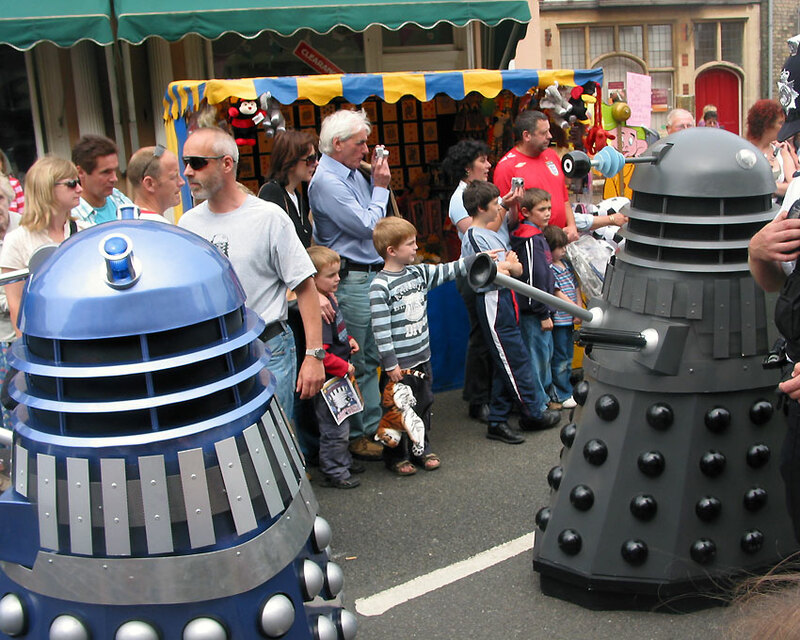 The Daleks were part of a day full of fun events, including a sci-fi breakfast at Byford's café, a trolley dash, and a parade with other Dr Who enemies such as the Cybermen. 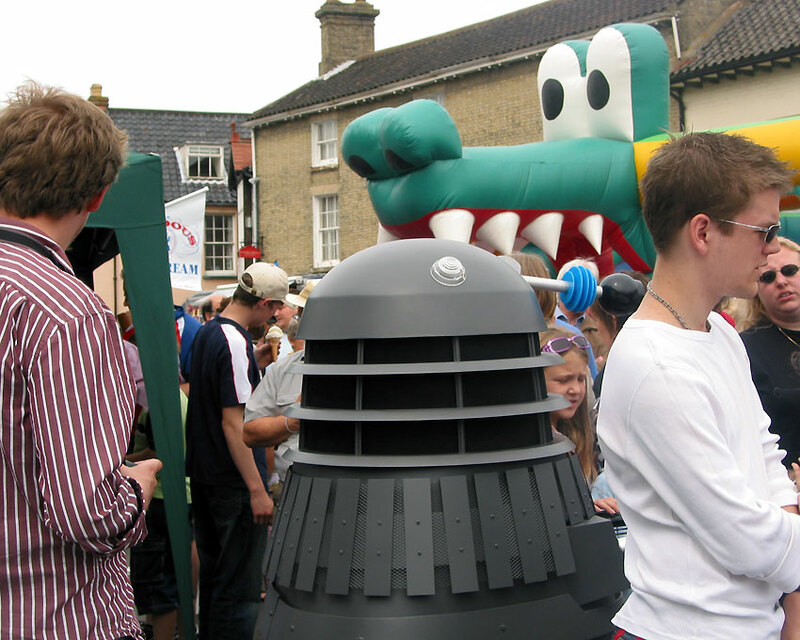 Ex-Doctor Colin Baker appeared during the weekend along with 'Davros' Terry Molloy and Deborah Watling. 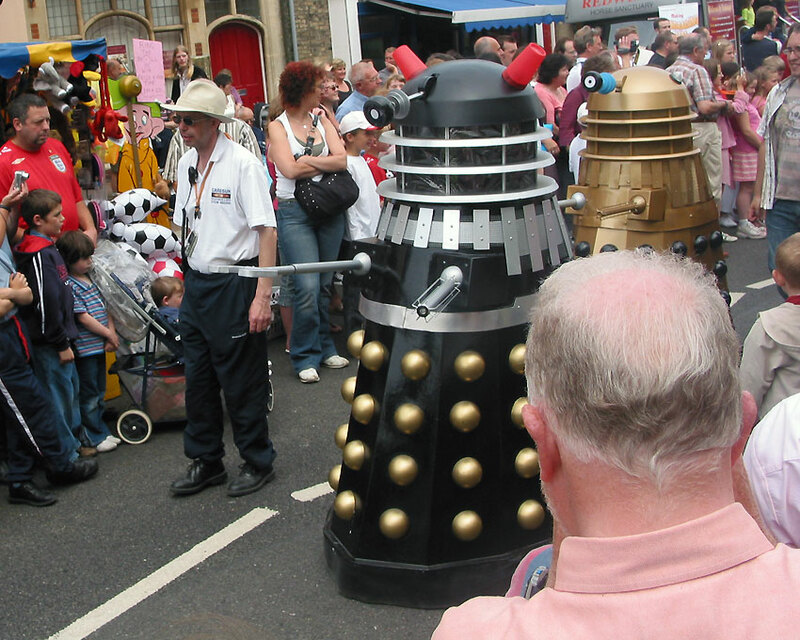 Colin and Terry were both drafted in as the official Guinness judges for the Dalek gathering. 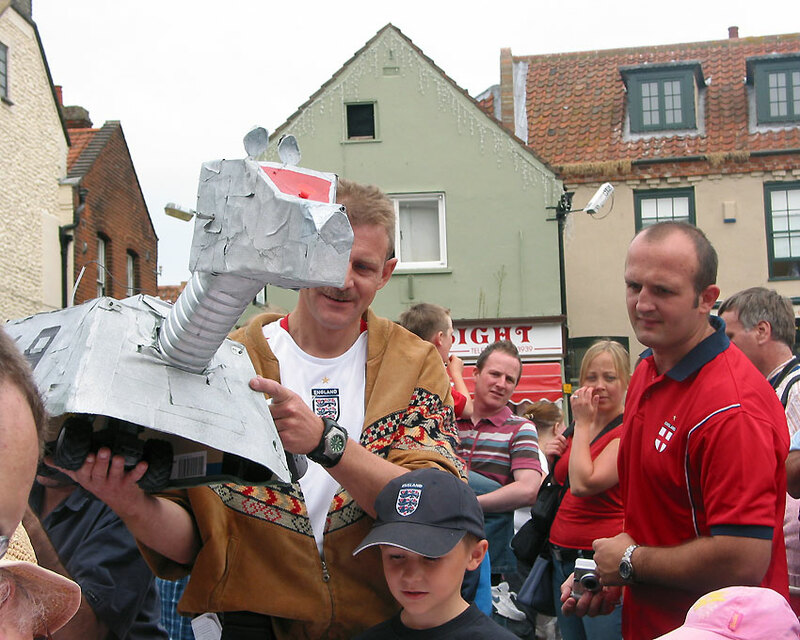 The East Anglian Air Ambulance service was the main charity benefactor. 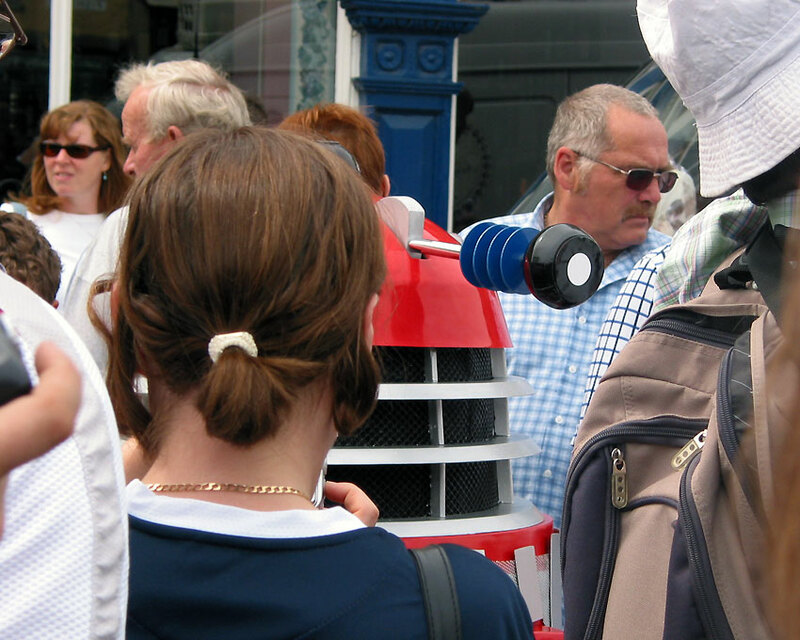 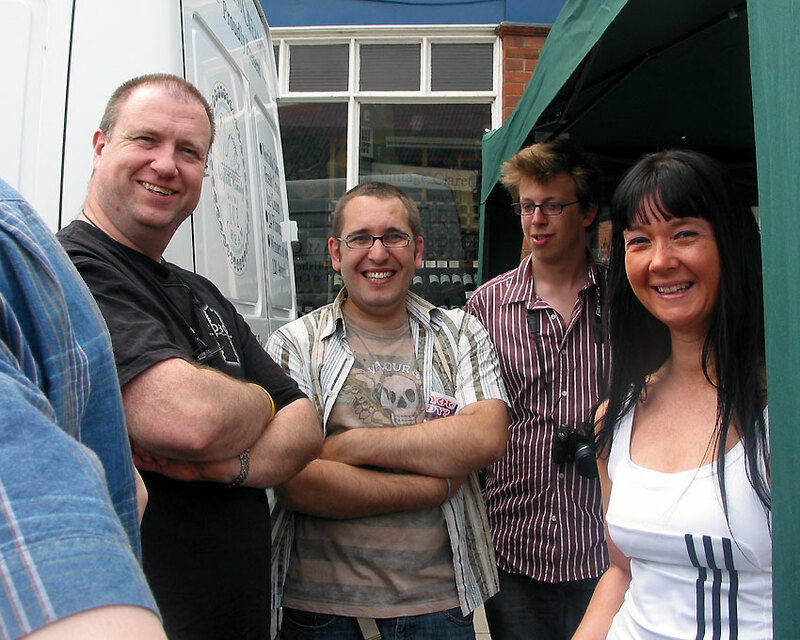 The record attempt was arranged for 1.15pm with a stipulation from Guinness that each prop was to be manned in order for it to quality for the record. 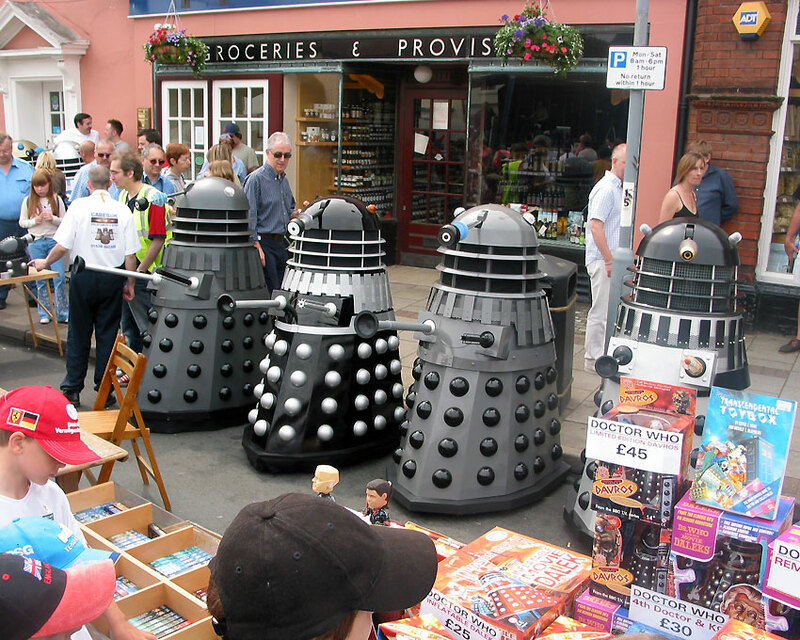 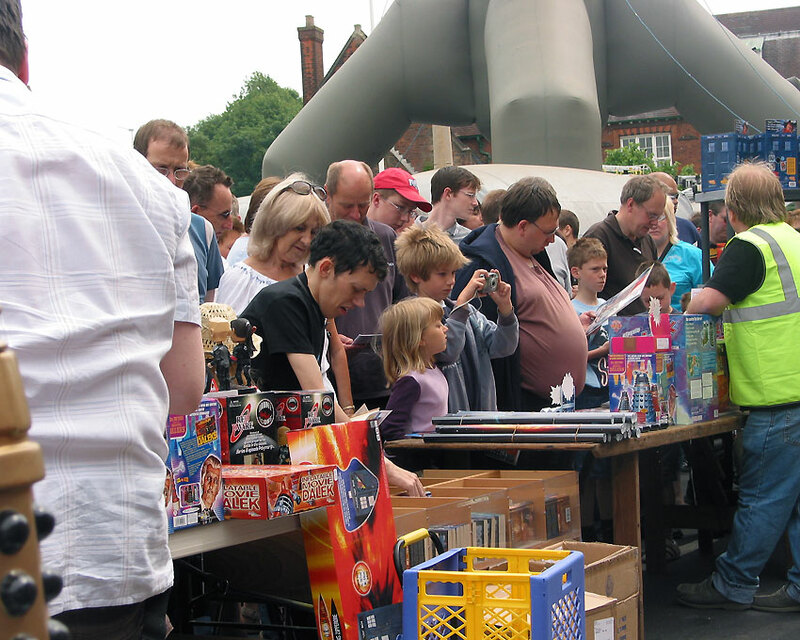 Thirteen Daleks took part, though there were fourteen Daleks there - organiser Nigel's red Dalek was stuck behind his merchandise stand and Nigel was too overwhelmed with customers to take part. 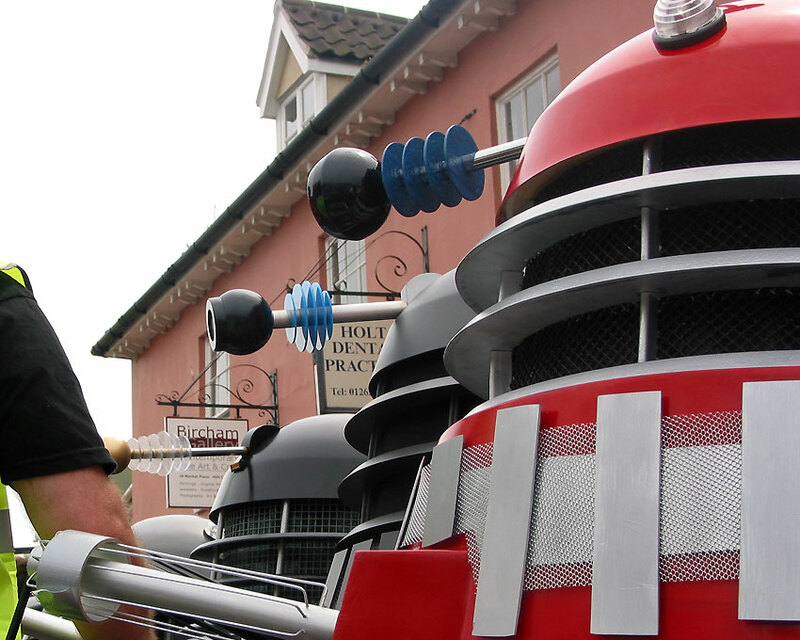 The operators had to spend ten minutes inside their Daleks in the summer heat. 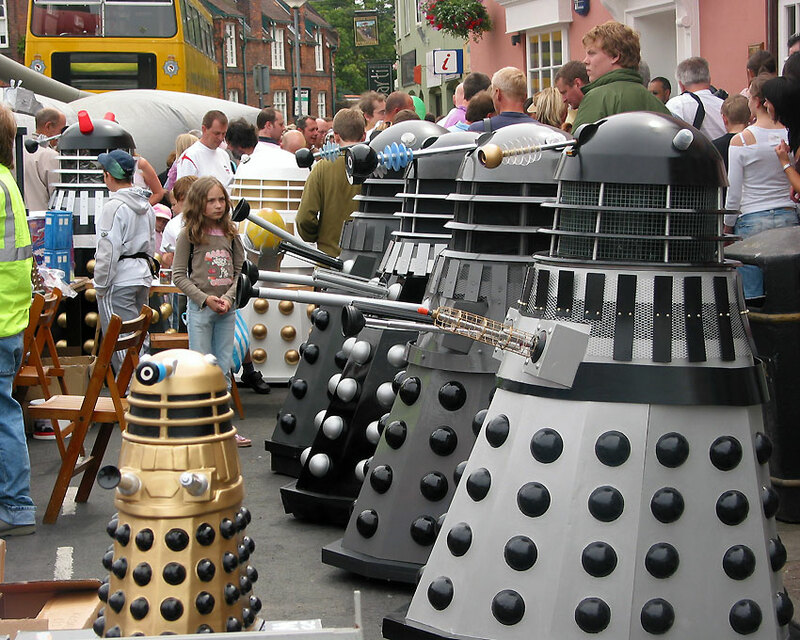 Thirteen Dalek builders were inside their respective machines as the minutes passed. 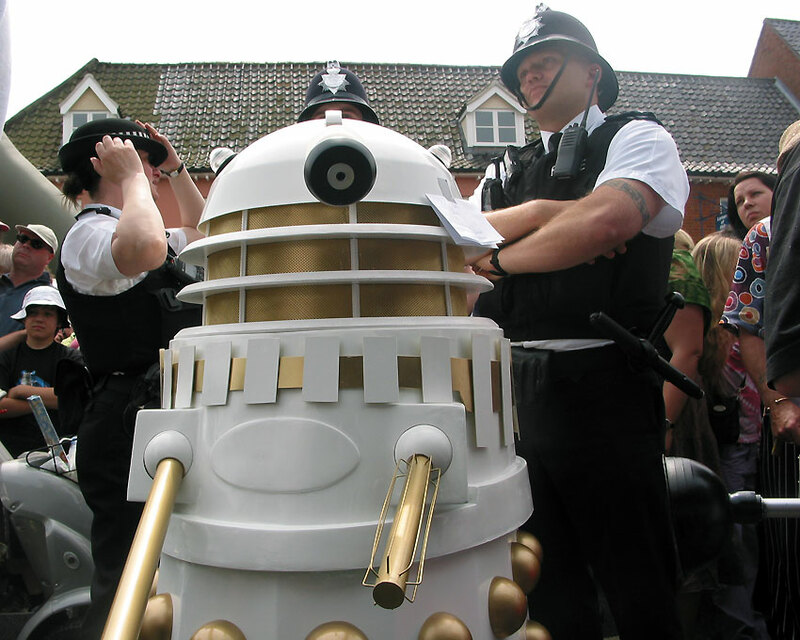 The final Dalek verdict came out at 100% with thirteen Daleks, setting a respectable record for this first attempt.